On Friday 20 July, a nice pair of Australian bizjets arrived into Hamilton Island Airport including the bright and colourful Execujet (Taverners Aviation) Raytheon Hawker 800XP bizjet VH-RIU which touched down from Ayres Rock. VH-RIU had arrived into 'The Red Centre' from its Sydney base on Wednesday 18 July. 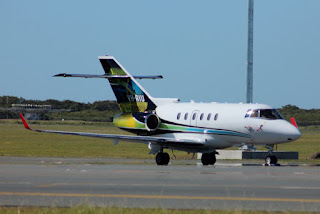 Of interest, VH-RIU was registered to Execujet in 2017 after being based in Western Australia with Maroomba Airlines (parent company is Nantay Pty Ltd) since 2014 operating with SC Aviation. UPDATE! VH-RIU departed Hamo for Sydney on Monday 23 July. Meanwhile, also on Friday 20 July, Mitchell Water Cessna 525 Citation M2 bizjet VH-WMY was also noted visiting Hamilton Island Airport. It looked to arrive from Melbourne (Essendon) via Bendigo and the Gold Coast. VH-WMY then departed to Melbourne (Moorabbin). Finally, down at Mackay Airport, also on Friday 20 July, locally-based Embraer EMB-550 Legacy 500 bizjet N142GZ departed to Townsville. UPDATE! 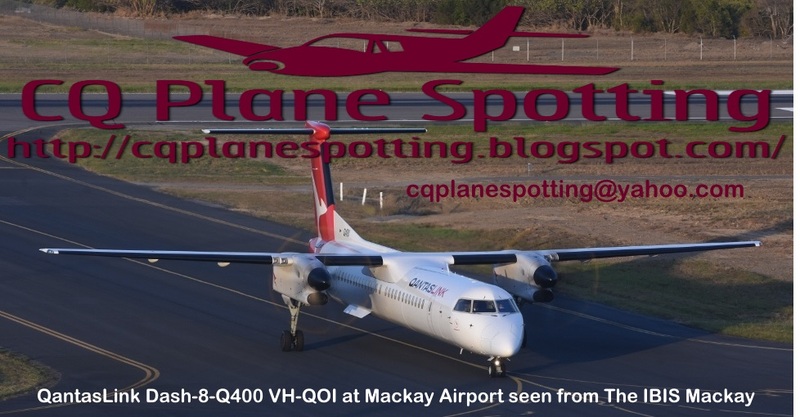 On Saturday 21 July, N142GZ returned to Mackay Airport from Townsville.